The Pallimed community is invited to participate in the #hpm Tweet Chat this week which help inform and shape a comparative effectiveness research proposal being designed by the Brain Cancer Quality of Life Collaborative, an initiative led by a team of patients, care partners, advocates, neuro-oncologists, and palliative care professionals. The #hpm Tweet Chat is this Wednesday, April 25th, 6-7p PST/9-10p ET. 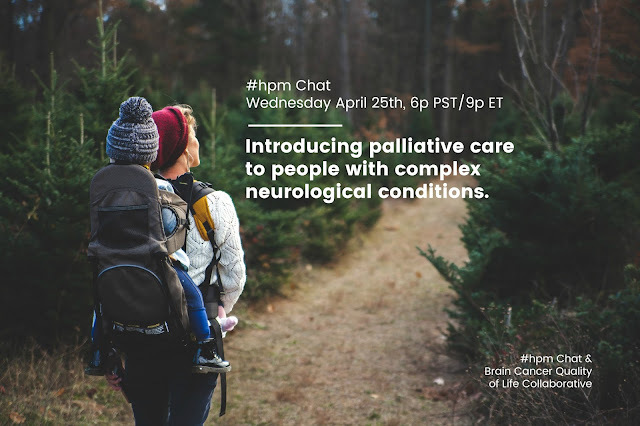 Topics for the chat are available here, in the #hpm chat’s blog post, How might we introduce palliative care to people with complex neurological conditions, by Liz Salmi and Bethany Kwan, PhD, MSPH. 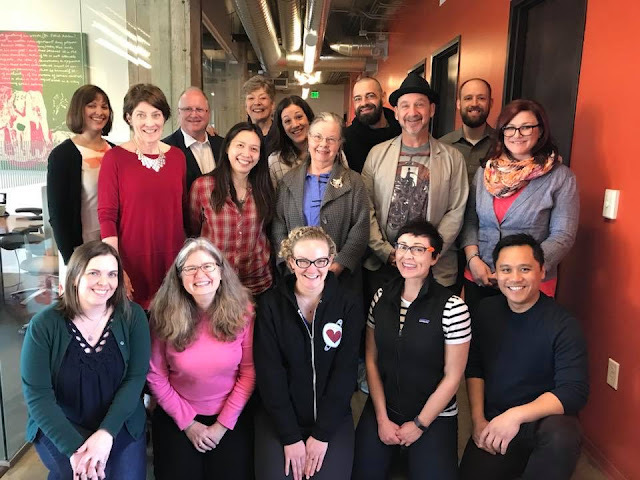 In October 2017, the Collaborative was awarded $50,000 from the Patient-Centered Outcomes Research Institute (PCORI), to drive improvements in palliative care experiences for patients with brain cancer and their families. With the belief that families want to spend time building memories, not navigating the healthcare system, topics for the #hpm chat week were shaped by Bethany Kwan, PhD, MSPH, and Liz Salmi. Bethany Kwan, PhD, MSPH, is a social psychologist and health services researcher at the University of Colorado School of Medicine and a daughter and care partner of a person who had glioblastoma. Liz Salmi is a communications professional with expertise in design, community organizing and digital communications. Liz has been living with grade II astrocytoma since 2008, blogs at TheLizArmy.com and when she isn’t talking about brain cancer, she’s working on OpenNotes, an international movement focused on making health care more transparent. Here is a Twitter list of the leaders in the Brain Cancer Quality of Life Collaborative and a photo below. Mark your calendars for April 25th and join the discussion this Wednesday. Learn more about #hpm Tweet Chat and this initiative here.